Today we introduce our readers to Eliefs a great project started in the Netherlands aiming to bring beautiful and eco-friendly sustainable products based on Asian philosophy and culture to Western markets, inspired by the Korean traditional process of fermentation using Onggi (옹기- earthenware vessel). Could you tell a bit about yourself, how the idea of introducing Onggi came to your mind? I am Korean and living in the Netherlands since several years. I did my MBA in Rotterdam, the Netherlands. I worked for management teams at an international financial company for years and I very much enjoyed that. But starting a business on your own lets you create something new. It gives you the chance to make a contribution and to participate in something bigger. I should say it was a natural choice to bring Onggi to the west. I am always interested in exploring something new, and of course, travelling and food are one of the best. During the MBA, I took an entrepreneurial course and for the first time thought of doing my business someday in the future, and when the time came, I was naturally looking for something unique and special from Korea. I knew that in Asia and particularly Korea has a lot to offer to western. Many Koreans overlooked their own heritage for a long time and very focused on Western way of life forgetting their own advantage. However, we started realizing the value of our tradition and Onggi is one of them. It is based on unique technology that doesn’t exist anywhere else – healthier and environment-friendly than any other vessels based on thousands year of heritage but almost forgotten due to modern glass and plastic products. Now, Onggi is back to our daily life in Korea. Both young and old generation started using Onggi for fermenting or storage, and everything fermented in Onggi is considered premium in the market. We believed that in order to make Asian and particularly traditional Korean products successful on Western markets, we had to create our very own brand and identity. That’s because we are convinced by the product to give the customer a genuine added value – and we also had to find the right language for a Western audience. And finally, we could manage to have our own brand with nice website, social media and expert community sharing their know-how in using Onggi and fermenting. As start-up it’s rather unusual today to create a business with tangible products – with all the issues it brings with it: high primary investments, logistics, transport costs. On the other hand, a society cannot sustain on service industry either. 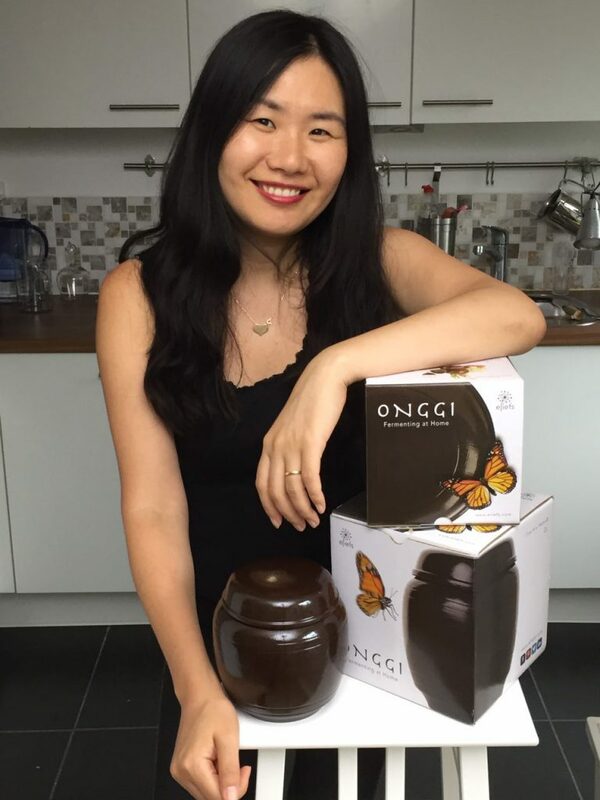 I thought that Onggi can be a great start to do my own business as Asian living in Europe. Further more, my fiancé, a German scientist working in the Netherlands, is sharing lots of valuable input as western and helping a lot to stay inspired at right track to realize my ‘Fusion’ and ‘green’ business idea. We are a business and not a mission. But what excites us is the goal to bring both together in the spirit of the original idea, meaning to bring Asian balance and Western creativity together. What are you missing most of the Korean food back home ? What do you think of the Korean food you can find in Europe ? Sometimes, I am confused with what I really miss – Korean food or atmosphere. Maybe atmosphere sharing love by sharing foods. What I dearly miss from time to time is Korean barbecues with friends or colleagues, or home cooked meals with family and relatives. That atmosphere can’t be copied. Also, somehow the taste is not same. Same home-made food based on same ingredients and same recipe taste different. Something deep only Korean can recognize that we call ‘Son-mat”, literally means “cook’s special touch”. It is not difficult to get Korean foods in Europe. Every big city has at least one or several Korean restaurants and grocery shops. I can make my own Kimchi, barbecues and many others, and from time to time go out for dinner at Korean restaurants which offer more less similar quality foods in Korea. Yet, I think what we miss here in Europe is diversity – maybe because of the scale issue – in terms of quality and quantity. In Korea, we have more choice for ingredients. For example, Korean organic pepper chilly flakes and rice powder rather than Chinese produced ones. When we make Kimchi, Korean people very carefully select ingredients – especially, cabbage and pepper chilly flakes, because these are essential to make good Kimchi. I was looking for decent quality ingredients in Holland but only average. Like wise, we have lots of specialized restaurants with specialized Korean menu in Korea with different foods and different atmosphere. From high end for special occasion and business to fast for students or lunch. Yet, not in Europe. Under current development of Korean food popularity, I hope we can meet more diverse Korean restaurants in Europe, too. Fermented products are gaining popularity also in Western countries and Korean food is also becoming more known in the last few years. Do you think promoting K- food as an healthy diet would be the key for spreading it even more ? 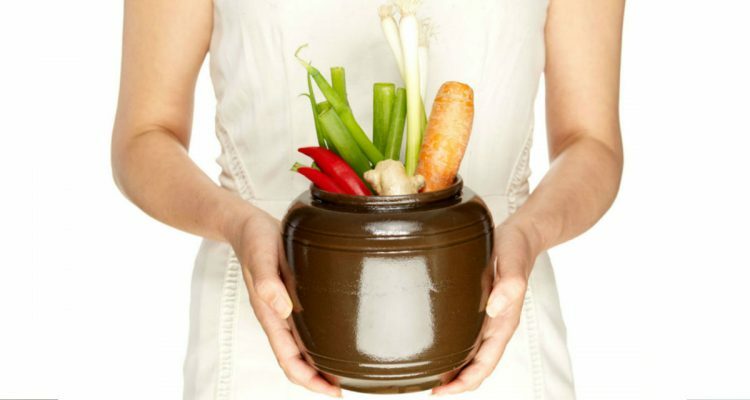 Indeed, fermented foods are hot topics in food and nutrition nowadays. Many studies have shown that fermented foods offer great health benefits by improving our gut health which is essential to good health. Interesting thing is, fermentation is an essential part of Korean food culture – balanced and harmonious in terms of taste and nutrition and I think it is not a coincidence that unique and special vessel like Onggi is developed in Korea. 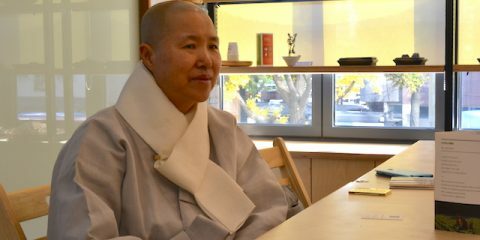 Balance: idea of balance particularly from Zen teachings starts already with food and particularly with low processed food. That is why I think traditional Asian way of thinking, particularly in Buddhism, in terms of balance could give the right impulses for the western cultures today. And why not start again with the individual: Western food is highly sophisticated as well but in some aspects traditionally quite unhealthy and over-processed. Harmony: Asian attitude towards to nature is very different from western. It is not an object we should fight or govern, but one living together harmoniously. In Asia there is thousands of years of continuity – maybe borders have shifted but never the way of life. This philosophy is deep lied in Korean food, too. You know, Hippocrates once said “let food be thy medicine and medicine be thy food”. But can you believe that it is already our basic belief towards to foods in Korea? When we are ill, we heal our body with foods. Food and medicine has same purpose. That’s why unofficially, there were lots of people who believed their serious illness such as cancer was cured by fermented foods in Onggi, and the secret was revealed in many studies. As far as I know, Korean foods are already quite well known as healthy diet and often considered the next big thing in food trends. More and more people are getting health conscious and interested in healthy life style. 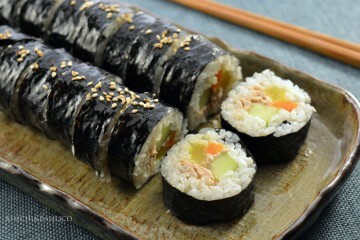 Then, Korean food based on balance and harmony will naturally attract more people – no doubt. What do you find most interesting about Korean food culture and how was for you to adapt to Western food culture ? As mentioned above, food is more than food for Koreans. It is a way to network, communicate, and share affection with others. In my personal opinion, it could be possible because Korean food is not course based but rice based with lots of different side dishes. We have own rice bowl sharing the side dishes with others. I think that is the most interesting about Korean food culture. 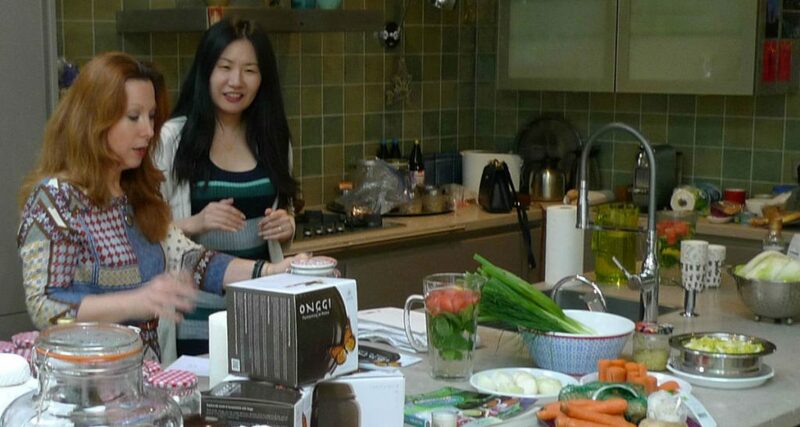 Have you also organised workshops about fermentation in the Netherlands or do you plan to ? Yes, based on collaboration e.g. nutritionists, health coaches and workshop organisers. We do not plan to make this a central part of our business however. It is one of our preferred ways to increase market awareness on fermented food. It gives us the best opportunity to understand customers and since workshops are very personal it gives us also the opportunity to obtain honest and constructive feedback concerning our Onggi. But we generally do not particularly promote Onggi on such occasions. With experience in fermentation people will find their way to Onggi anyway. It’s the best way to ferment with rich flavour and high amount of probiotics. 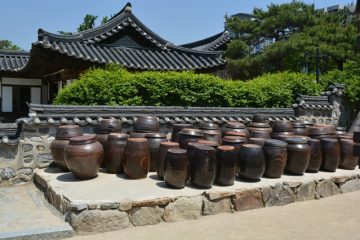 Onggi is the reason that fermentation of vegetables became part of the Korean culture in the course of several thousand years – but not in Western cultures. Kimchi is becoming very hot in the west and to discover what is possible on culinary basis, we think Onggi will be key this way or that. Therefore we prefer to promote fermentation and Kimchi making as such. It’s Korean lifestyle I am proud of and that I want people to discover by themselves. What are the future plans for eliefs? Basically, we would like to keep our eliefs as a brand based on ‘healthy eating, healthy lifestyle’. In the near future we want to further emphasis on Fermentation and particularly Onggi by introducing new products such as bigger size Onggi and organic fermentation kits for example, Kimchi kit. This is as we understand very much anticipated by many customers at the moment and we are looking forward to having a good start with it this summer. On the long run we see traditional products from Korea that, if properly adapted to western taste and facilitated production methods could massively help to reduce CO2 emissions and general sustainability of products of everyday use. So, we have quite some ideas in the pipeline – but we currently concentrate only on fermentation. In this respect we also intend to promote Korean food more generally in the West and seek collaboration with Korean food lover blog like you and Korean food companies, too.